This goes back to when I was expecting our second baby. Now he is 1 .5 yrs. I had been persistently watching my diet second time around to maintain healthy weight. Brown rice and Oats made major addition to my diet reducing wheat and white rice intakes and in turn made its way in to family diet. I always looked for ways to include these 2 ingredients as and where possible. In quest I found many ways I could enjoy Oat in multiple India dishes without compromising the original flavor, yes texture may be but that didn’t make a slight change in the plan. I love the nutty texture of Oat. It’s very satisfying and nutritious and of course pleasing for palate. Here I am sharing this first Oat recipe on my blog today on my Dad’s birthday as a gift to him & family. Now my kids enjoy this crispy snack here and there, it’s also our family favorite. I have tried different variation for variety. Methi (Fenugreek) & Palak (Spinach) besides basic with sesame seeds. Have pass on recipes to friends and families. Now it’s here for everyone to make and enjoy at home. 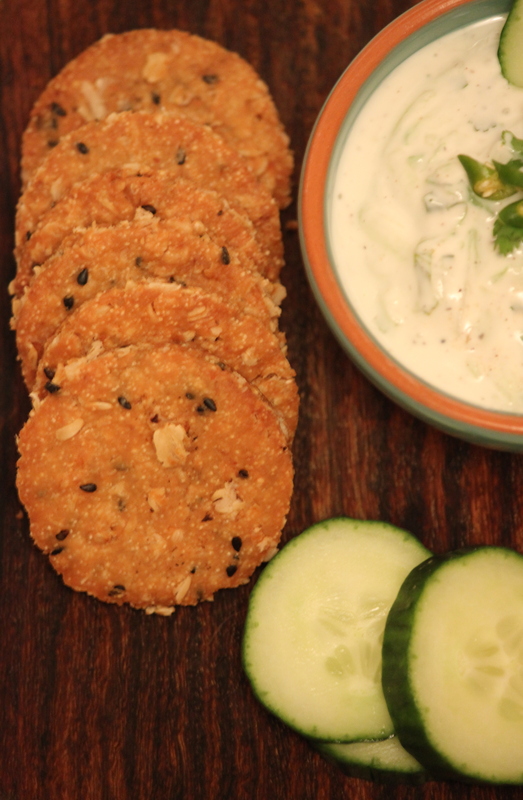 These tastes even great with mango chutney or with cucumber and greek yogurt deep. Place all the ingredients in the stand mixer except 1 cup of oats and add water slowly as needed to prepare the dough. Now add the remaining oats. The dough should be playable but not too soft or else the mathari will not stay crispy. Now roll the dough little at a time about 1/8 inch thick and cut in to desired shape. Can use cookie cutter or pizza cutter for the same. Now poke couple holes in each using fork so it doesn’t puff up when frying. Deep fry mathari in hot oil turning them in between. Take few minutes each side until they turn golden and crispy. Once they are cooled store in air tight container. Enjoy this Oatmeal mathari with masala chai or as cracker & your choice of hard cheese. Share your winning pair. Awesome Jinal. Keep up the good work. What is 2 cup? Is that oats too? Yes. 3 cups total oats. Add 2 while preparing dough and 1 after the dough is ready so when you roll you can actually see the Oats and in to final product. Makes it interesting. 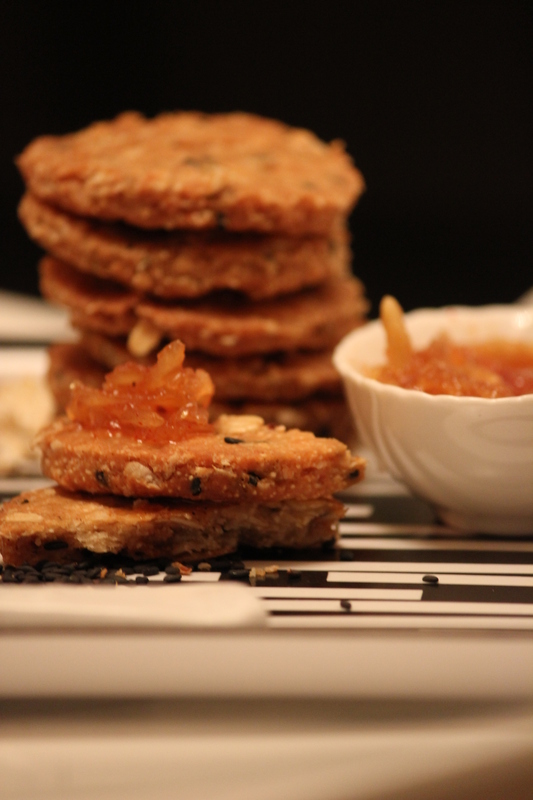 Looks delicious …never knew you could make mathri with oats. great jinal……looks tempting and delicious….will definitely try them….